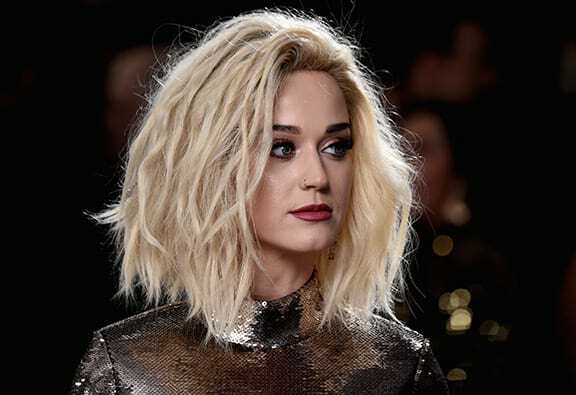 Katy Perry, award-winning singer, songwriter and actress, beloved by millions across the globe probably doesn’t need to use the internet to find a partner. And yet it’s the 21st century where internet dating is the new norm, so when Spencer Morrill believed he’d come across the singer online, he took a chance and got in touch. The pair shared an immediate connection and began a six-year-long ‘love affair’ where they communicated with each other over texts and emails. Despite never meeting Katy and only speaking to her once on the phone, Spencer decided to take the plunge and spent 25 per cent of his savings on an engagement ring for Katy, The Mirror reports. It was an immediate connection. A million ‘I love yous’ back and forth. It was pretty cool. I would like to meet face to face and see if there’s a future here. She’s awesome. Katy’s funnier than I am, she’s smarter than I am. I don’t know how many people give her credit for that, but she’s very intelligent. Katy’s full of life, huge heart. Unfortunately for Spencer, who really believed he was talking to Katy Perry, it was all a fiction. The real Katy Perry had never heard of him and he’d been the victim of one of the most outlandish catfishes of all time. The scheme was revealed when Spencer appeared on the MTV show Catfish, a show which exposes ‘catfish’, people who create fake personal profiles on social media to trick someone into falling in love with them. The show’s presenters traced the faux-Katy Perry to Gloucester, England and a woman known as Harriet. Despite all common sense pointing to a catfish, Spencer refused to believe he’d been tricked and wasn’t talking to the real Katy Perry until the show’s presenter Nev had a talk with him. We’ve found the person you’ve been talking to beyond really any shred of doubt, and you still want to believe the thing that makes you happier. You need to know that you’re not talking to Katy Perry. The Catfish crew eventually had Spencer confront Harriet who admitted what she did was wrong and apologised to her victim allowing the pair to part on good terms. Harriet explained she’s tricked Spencer because she enjoyed talking to him and lost herself in the fantasy after some ‘tough times’ including the death of her father. I’ll be okay. I’ll be fine. The bad’s in the past. What’s ahead will be good. And Spencer wasn’t wrong because the real Katy Perry heard about what happened when someone sent her a link to the story and knows who he is now. Speaking at the time on the SiriusXM radio show The Morning Mash Up, she said her heart went out to him and anyone else who’d been tricked like that.